The streets of Los Angeles are packed with the sights and sounds of collective action this week. Braving the cold rain, some 30,000 United Teachers Los Angeles (UTLA) members turned out for picket lines across the city yesterday, joined by more than 10,000 parents, students and community members. Every L.A. school site—more than 900—participated in the strike, culminating in a 50,000-person march to the Los Angeles Unified School Districtâ€™s (LAUSDâ€™s) headquarters. Oregon labor is proud to stand in solidarity with L.A. teachers. Click here to do your part and tell Superintendent Austin Beutner to meet the demands of Los Angeles teachers, parents and students. Californiaâ€™s student-to-teacher ratio ranks 48 out of 50 states. Californiaâ€™s student-to-counselor ratio is 945:1. L.A.â€™s charter school industry has grown by 287% since 2008, draining nearly $600 million from public schools each year. 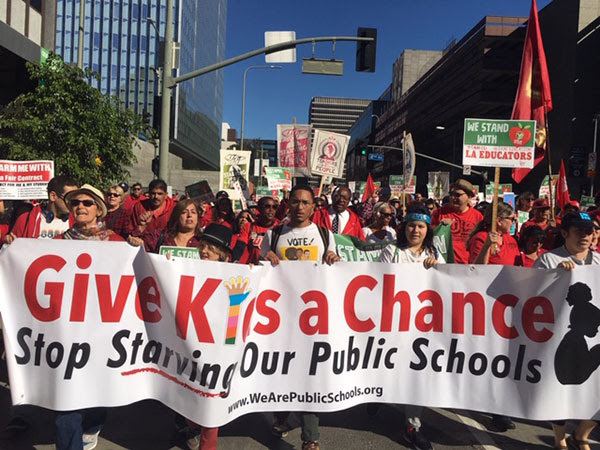 Take action today and tell Superintendent Austin Beutner to meet the demands of Los Angeles teachers, parents and students. Ready to step up and do more to help? UTLA is asking for unions across the country to stand in solidarity by adopting schools, spreading the word on social media and more. Click here for a list of ways to help out. Itâ€™s day 26 of the government shutdown, and the gridlock in Washington D.C. does not appear to have an end in sight. Across the country, working people are marching and rallying for an immediate end to the government shutdown. Already the longest funding lapse in American history, this manufactured crisis has put the weight of ideological extremism on federal workers and their families. As we continue fighting to reopen the government, the labor movement is also joining together to support our brothers and sisters as they go without a paycheck. 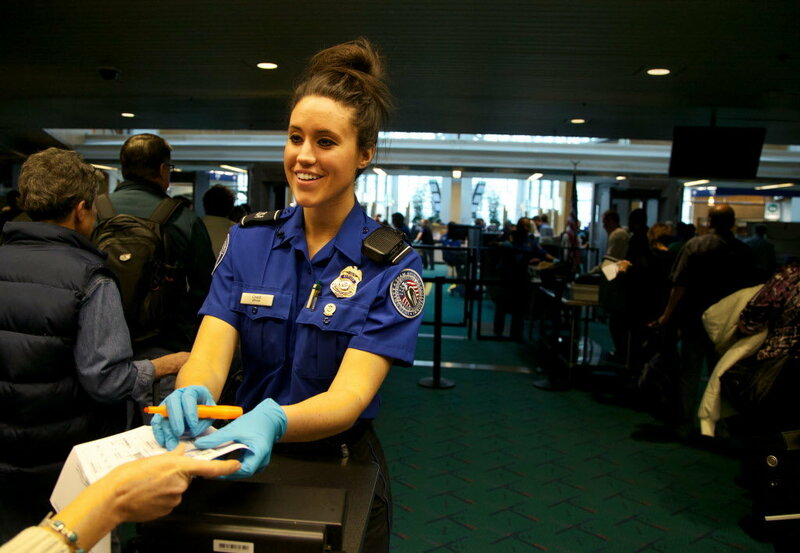 Click here to read President Chamberlainâ€™s article about the shutdown on the Northwest Labor Pressâ€™s website and click here to take action to help stop the shutdown. Bend nurses successfully reached a tentative agreement on a new four-and-a-half-year contract with hospital administrators at St. Charles Bend on January 12. The agreement follows two straight days of federal mediation. 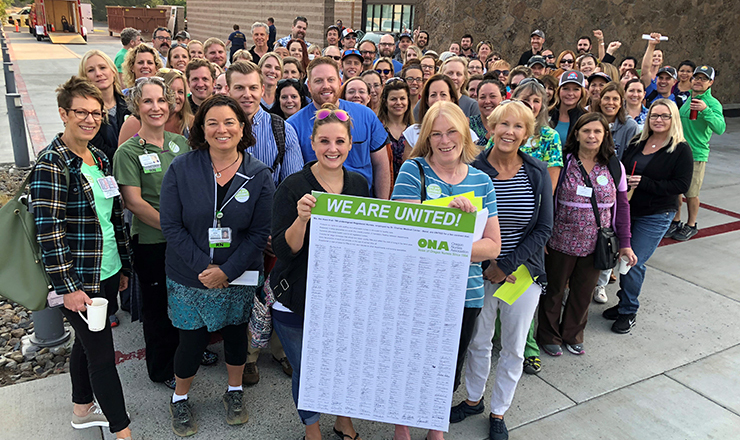 Nurses and hospital administrators have been meeting since June 2018 to try and reach a fair agreement that improves patientsâ€™ care. Nurses will continue their planned food drive this month to support Central Oregon families in need. More details on the food drive will be shared on the nursesâ€™ Facebook page when it becomes available. The 2019 Oregon AFL-CIO will be held at the Seaside Convention Center from September 19 to September 22, 2019. Click here to see a list of hotels with discounted group rates and stay tuned for more information about convention. â€œMost important is what we do going forward. There are differences of opinion on the committee when it comes to trade. I believe in involving unions, environmentalists, human rights advocates and the American people. Working to bring us together and showing our differences are not as great as they may appear or as some interest groups would lead you to believe. Done right, trade can and should be a winning issue for Democrats, our workers, and most importantly, for America. My commitment is to work with you on reform that unites us."